…..whilst they send out scout bees searching for a new home. 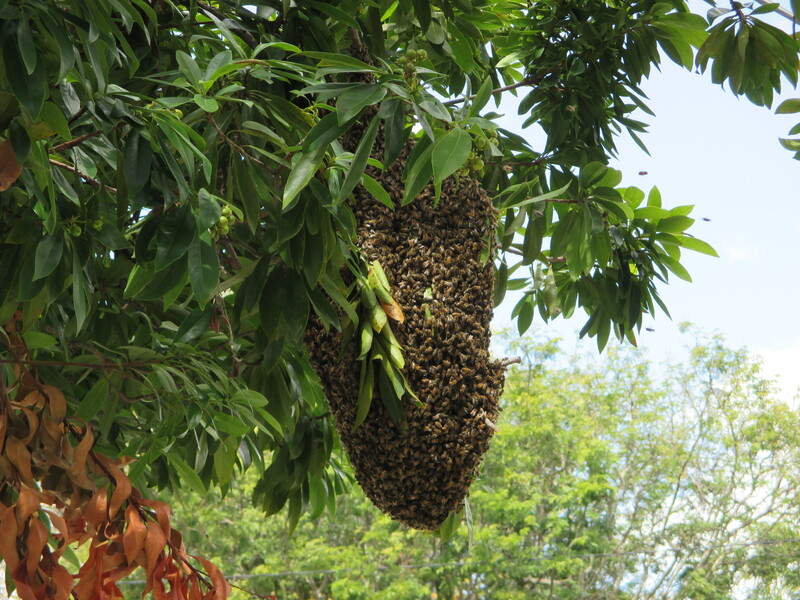 The shortage of natural bee homes in the hollows of a tree, means the bees sometimes choose the wall of a house. 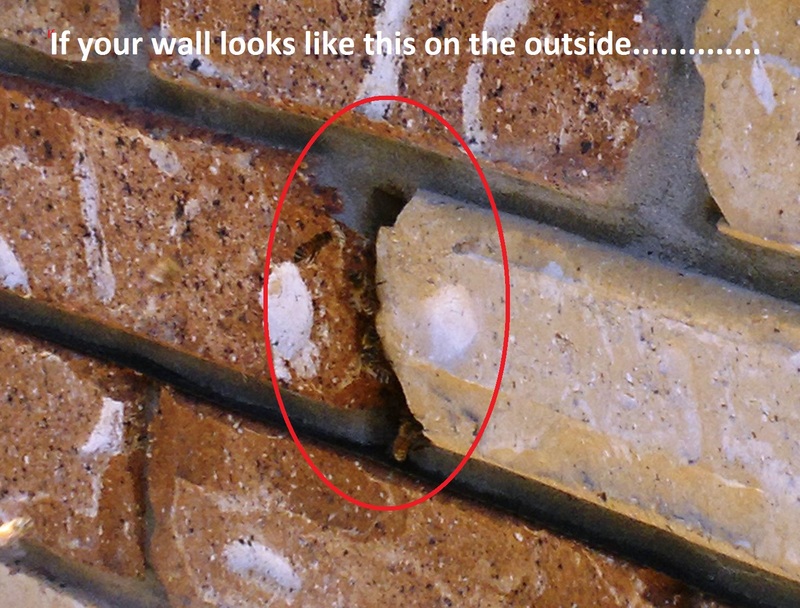 Typically the entrance is a weephole in the bricks or the gap around a window sill or door frame. 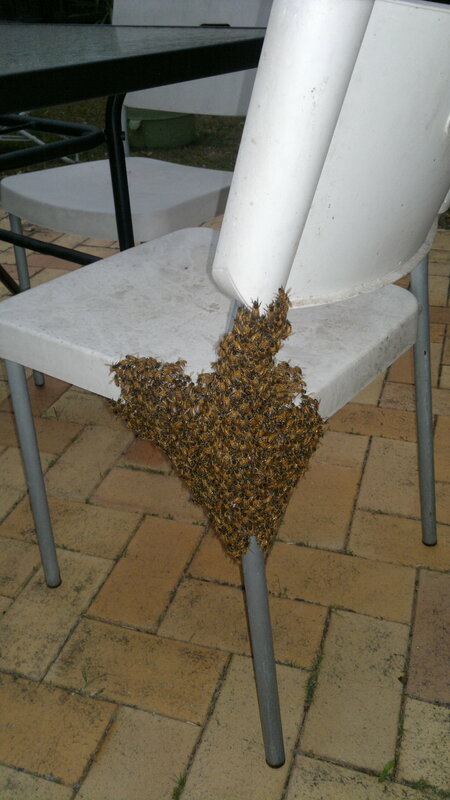 The whole hive can be removed by removing the gyprock from the inside, or in the case of a weatherboard house, we could remove boards from the outside. The bees will be rehomed in a top bar hive and the comb removed.